Today marks the anniversary of the first manned Moon landing. Those of us who are old enough to remember seeing it live can still recall the awe and wonder of that moment when Neil Armstrong stepped down and set foot where no man had gone before. Honestly, I can’t think of anything since then that had the entire world watching and waiting – what an amazing example of what can be accomplished when man dares to dream, and then sets out to make it happen. My father, Lowell Hamilton, was one of the many, many NASA engineers who worked on the Apollo program. I never realized what a unique upbringing it was – after all, practically every kid I knew had a parent who worked for NASA – but I have always been inordinately proud of my dad for being part of the team that not only made sure that those three men (as well as all the rest) got to the Moon, but also that they were able to get home safely to their families. May we always continue to strive for the stars. 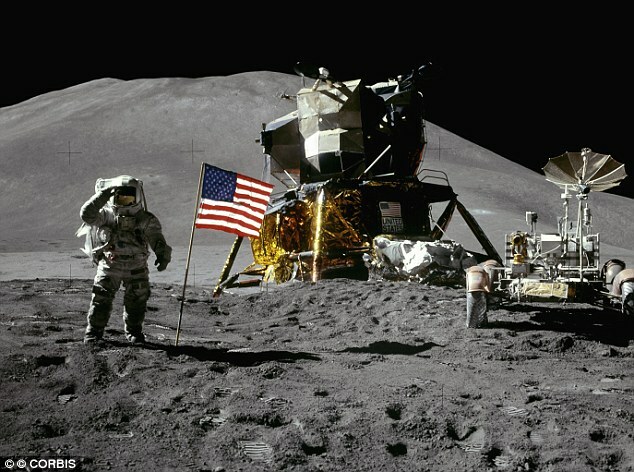 This entry was posted in I Love America, Inspirational, Texas, The Geeks Shall Inherit the Earth, Think about it and tagged Moon landing, NASA, Neil Armstrong. Bookmark the permalink.